If you are searching for a company that offers quality document printing and photocopying at an affordable price, then you have come to the right place. 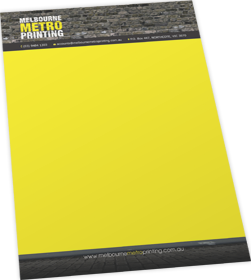 Whether you need a large number of reports printed, information sheets copied or standard black and white documents produced, Melbourne Metro Printing is your company of choice. Our multi-purpose black and white printing service is a fast and convenient way to acquire multiple copies of documents when design and presentation aren’t major factors. Documents can be printed on A4 sheets and can be either single or double-sided. If your documents are going to be stored in folders, we are also able to hole-punch them for you, saving time and hassle; we can punch either two holes or four depending on your requirements. This product utilises standard 80gsm office paper. Whether you require a small or large print run, Melbourne Metro Printing can help. We have state of the art digital printers and use quality toners to ensure a professional finish. With a focus on producing quality printed products at affordable prices, you can rest assured your documents will look great without costing a fortune. For a truly professional finish please don’t hesitate to ask our friendly staff about the different binding solutions we have to offer. This is a great way of turning your important document into a professional booklet. We’re also customer-focussed and understand that many companies are working to strict deadlines. As such, we always strive to provide a prompt, timely printing service – meaning your documents will be printed in accordance with your deadlines wherever possible. If you require further information regarding our black and white printing, don’t hesitate to contact the team today! In the business world, success rides on ensuring you stand out from the crowd. Custom printed business cards from Melbourne Metro Printing provide the perfect way to leave your details in style. Business cards generally include a company’s details, an individual’s personal details and any relevant contact information. A company logo is usually included and the general theme of the card is designed to incorporate company colours – ensuring it remains ‘on-brand’. Melbourne Metro Printing utilises state of the art equipment and quality materials to produce cards that are not only professional, but effectively catch the eye! We can print cards using a design of your own, or our experienced graphic artists can create a design for you – the choice is yours. 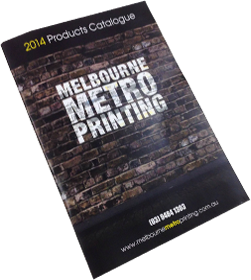 If you would like to know more about this product, please contact Melbourne Metro Printing today. We strive to ensure our customer service is second to none, and as such we’re always happy to answer your questions and queries! Flyers are a range of marketing products that are supplied flat and are generally printed on lighter weight paper stocks. Whether you have just released a new product, have an exciting new offer for consumers or wish to promote an upcoming event, printed flyers are a great way to spread the word. and then folded down from their flat sizes to their finished sizes. Flat sizes for brochures typically range from A5 (148 x 210mm) up to 6pp A4 (327 x 297mm). or promote a brand new special offer, brochures are the perfect way to go about it. Here at Melbourne Metro Printing we can produce professionally printed brochures for your business – whether you need 100, 2000 or more! This range of products are printed single side on both paper and synthetic stocks. Whether you need to advertise a corporate event, fundraising day or your garage band’s new single launch, printed posters are a highly effective way to go about it. We are able to produce high quality posters for a wide range of purposes – and these posters can be printed for either indoor or outdoor use. Consult with our helpful staff to choose a stock that is right for you. Whether you need to brand a new product or better organise your office space, professionally printed labels are the ideal way to go about it. Here at Melbourne Metro Printing, we are able to print off high quality labels that are suitable for an endless array of uses – you’re only limited by your imagination! When it comes to label printing in Melbourne, we’re your company of choice. Using quality paper, state of the art printers and long-lasting inks, our labels not only look good – but will also stand the test of time. You can rest assured they won’t be fading any time soon! We’re able to produce individual labels and sheet labels in both small and large quantities, and there are endless options to choose from when it comes to colour, size, shape and paper type. We can design your labels too! With a talented team of graphic designers on hand, we can do more than just print your labels for you – we can design them as well. Equipped with a real eye for detail, our designers will meet with you to ascertain what you want to achieve, before creating a set of designs in accordance with your brief. We also strive to come up with designs that not only suit the purpose, but also accurately reflect the brand image you’ve worked so hard to refine. Once a design has been finalised, printing begins. We pride ourselves on offering our clients very quick turnaround times (in some cases, as little as three days from the date of order) – so if you need something in a hurry, you can count on us to get it done promptly. Where do labels come in handy? Labels can be used for a wide range of different purposes – in fact, the options are endless. In a business sense, labels can be used to identify and organise. Whether it’s ingredients in a commercial kitchen, tools in a mechanic’s shed, or files in an office, they provide a quick and easy way to find what you’re looking for. Labels also perform a promotional function, particularly when they are used for product packaging. Here, they can be use to advertise the brand name, convey important information regarding the use of a product, or even promote awards the product or company has won. No matter your requirement, we’ll be able to create a label that perfectly meets your needs! Melbourne Metro Printing is your company of choice when it comes to label printing in Melbourne. Whether you’re looking for a couple of speciality labels or larger quantities, we’re more than happy to help. For more information, don’t hesitate to give us a call on (03) 9484 1303, or send us an email at solutions@melbournemetroprinting.com.au today. 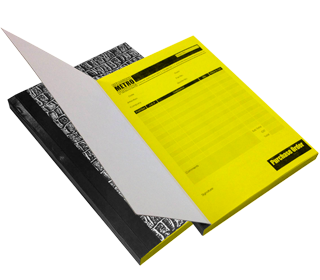 Are you a small business in need of customised invoice books? 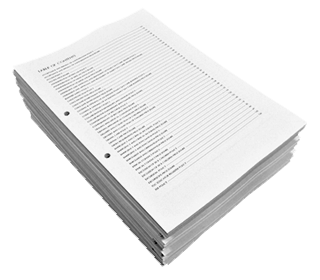 Do you require purchase order or receipt books? Looking for a way to quickly and easily duplicate important business forms? Carbonless books are the answer. Melbourne Metro Printing can produce customised carbonless books for clients, whether you need 5 books, 30 books or more! These books are commonly used when copies of business forms are required, as they provide one copy of the original – which can be either given to the customer or retained for record-keeping purposes. Carbonless books have endless uses; they can be used as invoice books, purchase order books, cash receipt books, quote books and delivery docket books. 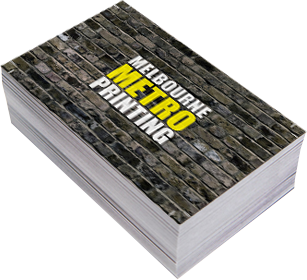 Melbourne Metro Printing can produce carbonless books that are personalised to suit your business. We can include your business name, contact details and logo, as well as create a layout that suits your business needs. Each book provides 100 sets of the required document (we can also produce books with 50 sets if needed), and we are able to offer clients a wide range of sizes with either top or left hand side binding. If you require more than one copy of an original document, then triplicate or quadruplicate books may be the best option. Triplicate books produce an original plus two copies, while quadruplicate books produce an original plus three additional copies. 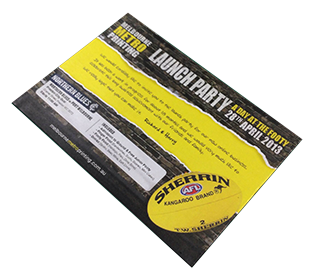 Melbourne Metro Printing can print these products as well – just ask us! Place your order online today, or contact us on (03) 9484 1303 if you have any further questions. 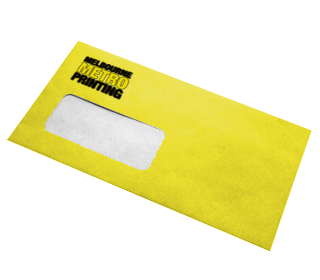 Melbourne Metro Printing can create and print quality branded envelopes for your business that effectively work to promote your brand. Complete with your business colours, logo and contact details, these envelopes don’t just look great – but also ensure any undelivered mail is returned to you! If you want to ensure your business stands out from the crowd, printed envelopes add a professional touch, promote brand awareness and also ensure that any undelivered mail makes its way back to you. 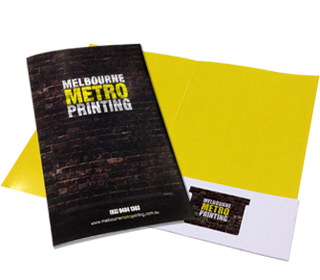 For more information regarding branded envelopes, contact Melbourne Metro Printing today. In the business world, branding is everything. If you have taken the time to develop your brand image, you want to ensure that you use it to your advantage. After all, what is the point of an eye-catching logo and company colours if you’re not making it a part of your everyday marketing material? At Melbourne Metro Printing, we can help to ensure your brand gets the attention it deserves via a range of high quality printed products. Letterheads are a great place to begin; as a business, you will almost certainly be sending out documents and other forms of written correspondence to clients and partners alike. When you are sending hard-copy documents, evoke a professional touch with custom printed letterheads in your company colours. From client contracts and courtesy letters, through to receipts and other documents, sheets printed with your company letterhead are suited to a wide range of applications. 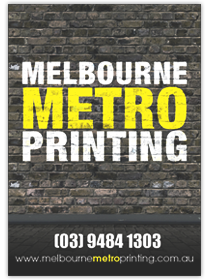 Melbourne Metro Printing offers two different sizes, A4 (210mm x 297mm) and A5 (148mm x 210mm) and we can provide both single and double sided printing. When it comes to the paper type, we offer clients a number of options – including plain paper (100gsm), white recycled paper (100gsm) and Knight Smooth paper (120gsm). We can also cater to a wide range of quantities, from 500 copies through to 10,000 copies or more. You can supply us with ready-to-print artwork or our graphic designers can come up with a suitable design that meets your business requirements. For more information or to place an order for letterheads, get in touch with our friendly team today! Melbourne Metro Printing can print a wide range of different With Compliments slips to suit businesses of all industries, shapes and sizes. Have a set printed in your business colours, complete with business logo, contact details and even a photo. It’s a great way to appear sincere and personal, whilst also promoting your brand. 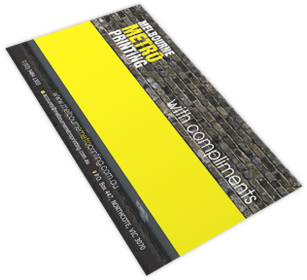 Melbourne Metro Printing also has a team of talented graphic artists; if you would like your With Compliments slips professionally designed, be sure to ask! For more information regarding this quality product, get in touch today.